Malaysian Trades Union Congress is alarmed at the manner in which the issue of JCY HDD Technology Sdn Bhd (JCY) foreign worker’s industrial action is swept under the carpets by the Police. MTUC is disappointed with Deputy Home Minister Wan Junaide Wan Jaafer statement in the Dewan Rakyat that Industrial Action taken by JCY foreign workers was due to misunderstanding among the foreign workers themselves, especially since this claim is not supported by any facts. On 4th September 2014, we wrote to the Ministry of Human Resources to hold a tripartite meeting to discuss the issues raised by JCY’s workers. However, till to date our request is fallen on deaf ears despite several follow-up calls to the ministry. Our MTUC’s Johor Division officers on the ground, who have been following the case closely with some of JCY’s migrant workers, have been informed by the workers that their protest escalated when one of the staff of JCY provoked them by throwing stones at the workers when they refuse to engage in a game of throwing stones at each other in their workplace at Kulaijaya. This group of about 20 workers was forcefully moved to Kulaijaya for participating in the industrial action in Tebrau over the death of their co-worker who complained of having difficulty in breathing. In Kulaijaya, they were forced to play a game of “volley ball with stone” as a form of punishment for taking part in the said incident. According to the workers, they resorted to industrial action as they were dissatisfied with the manner in which the management handled their grievances. Their concerns regarding their health, work conditions, poor hostel facilities, calculation of overtime, not adhering to off day’s entitlement, unfair deductions in their salaries and low compensation for accident and injuries, were ignored by the management. Furthermore, the workers were also displeased with the attitude of the management such as beating them for minor mistakes, and not treating them with dignity and respect. The workers claimed that their concerns at workplace worsened over the years and therefore they were left with no other option but to resort to industrial action. Clearly the police had failed and neglected the issues concerning the workers at their work place. The police investigation only concentrated on one side of the incident. This not only raises concerns on the confident and credibility in police investigation but also raises the issues of biasness in the investigation process, especially in the absence of transparent and independent inquiry. On 11th of November, a separate meeting was held at Johor Bahru, Labour Department with JCY management to discuss the repatriation process and unpaid salary for the 55 workers who were arrested. MTUC’s Johor division officers have reported that the representative of JCY had informed them that he has high contact in the Home Ministry, and proved it by showing off his telephone contact in his mobile phone. Doesn’t this indicate the biasness in the investigation? MTUC was also informed that 5 out of 55 workers of JCY have been wrongfully charged under Sec 6(3) of the Immigration Act for entry into the country without proper documents, as all of them have valid work permits with JCY. They were schedule to return to their homeland after the clearance made at Immigration Department. Unfortunately during the police raid this group of workers were picked up. At the time of arrest, these workers were documented but during the process of investigation their work permit expired. As such, they were charged under the Immigration offences. MTUC have engaged the assistances of the Johor Bar Council to represent these workers. Nevertheless we are deeply concern with the bureaucracy that is taking in amending the charge at the expense of these workers who are being detained since 9th September 2014. These workers have not taken part in the Industrial Action as they were schedule to return home after completing their contract with JCY. MTUC is very concern with the continuous lack of political will by the Government in addressing the issues and concerns of Migrant workers. Home Ministry should not shoot their month without consulting all stakeholders especially when workers’ rights are adversely affected. Internationally, Malaysia has been continuously criticized for force labour practices especially as highlighted in the recent Verite’ report on Electronic Industries. The Government should no longer ignore this report. 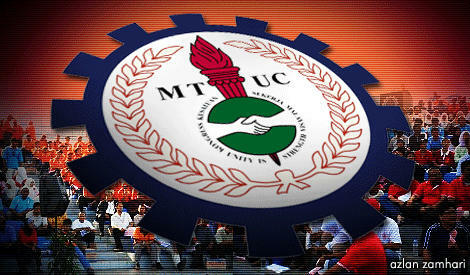 MTUC urges the Human Resource Ministry to step in and take proactive measure in addressing these concerns. MTUC urges Human Resource Ministry not to delay any longer our call for a Tripartite Meeting to discuss JCY’s case.